Akali Singh Sikh Wedding Photographer Ceremony Walk - Best Vancouver wedding photographer Jozef Povazan Photography studio. 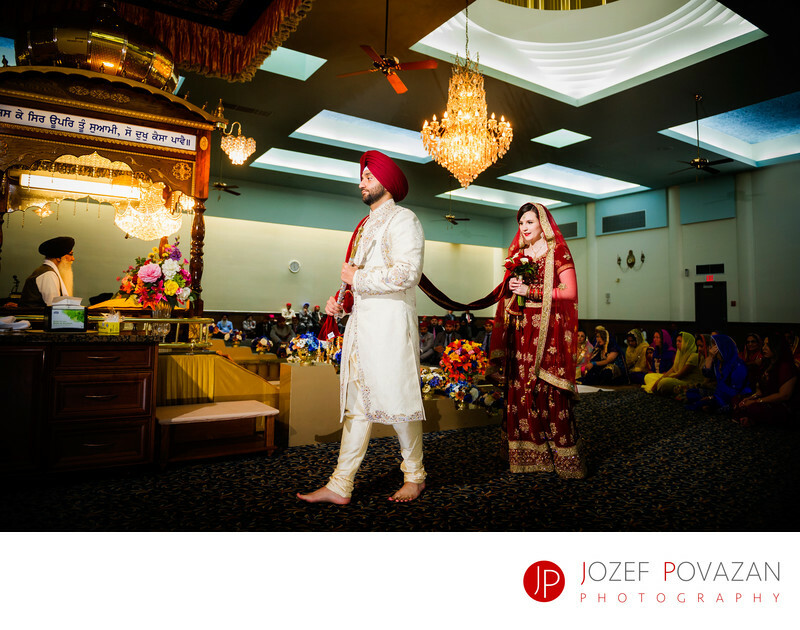 Akali Singh Sikh Wedding Photographer Ceremony Walk when bride and groom sacred walk four times around holly book captured by Jozef Povazan Photography at one of the most iconic and symbolic Sikh temples in Vancouver, Canada. The ceremony started with barat of the groom followed by rituals when A+J got married inside the temple. The couple wished for unique and candid moments with very dramatic look to the images. They got an amazing story from their first wedding day followed by the next day church ceremony in North Vancouver and then wild party night at downtown False Creek Villa Amato reception just across the Science world venue. What a great multicultural celebration of love was this weekend filled with. If you love bold and dramatic modern wedding pictures then I would be honoured to hear your ideas and plans for your big day. My name is Jozef Povazan and I am Vancouver photographer with passion to create awesome stories for my brides and grooms. Thank you for visiting. Cheers. Location: 1890 Skeena St, Vancouver, BC V5M 4L3.